What was supposed to be a nice day was spoilt by thick fog for most of it. 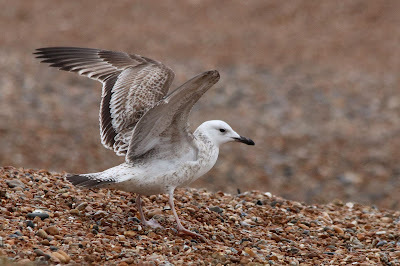 The juvenile Glaucous Gull was seen at the Patch and the first-winter Caspian Gull was at the fishing boats as usual. 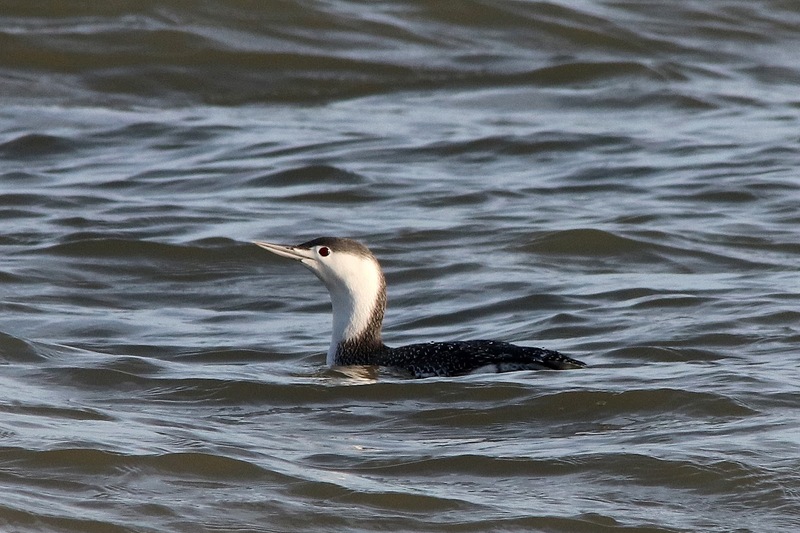 Good numbers of Red-throated Divers and Great Crested Grebes were also seen offshore. 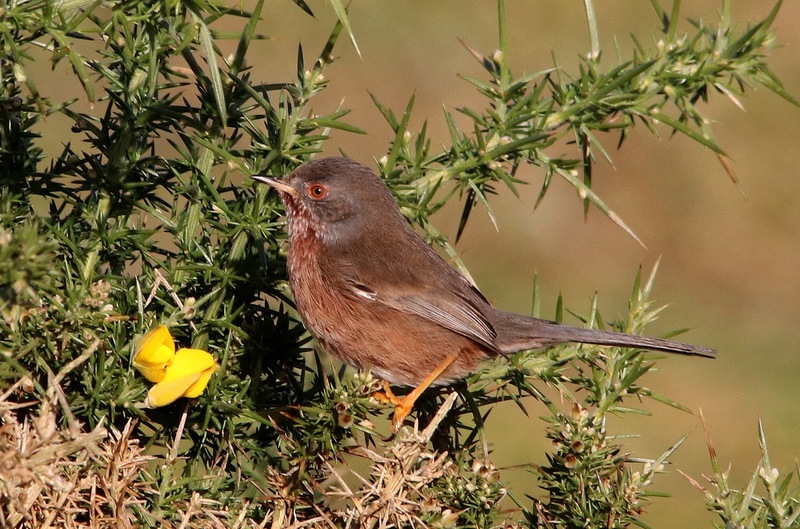 It was very quiet on the land although at least one Dartford Warbler was seen near the railway station. 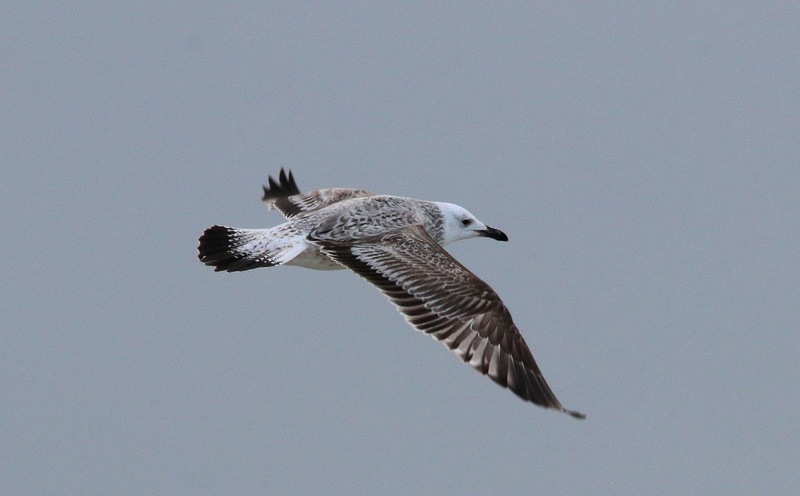 Kittiwakes and auks (mainly Razorbills) continued to pass westwards during the morning and the regular first-winter Caspian Gull was still at the fishing boats. A return to the miserable weather meant that most of the observations were from the sea where over five hours of watching produced 318 Brent Geese, a Great Skua, 739 Kittiwakes, an adult Little Gull, over 4300 Guillemots and 2300 Razorbills. 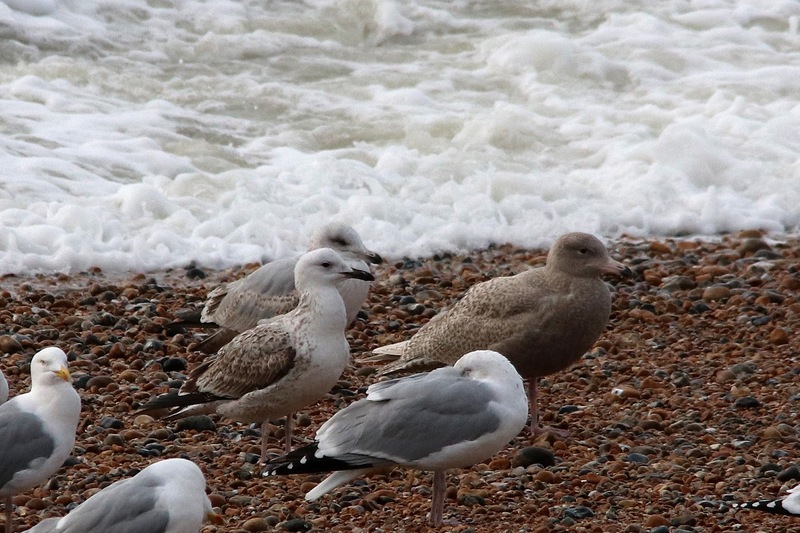 A fine and calm day for a change and with a good selection of bits and pieces to be seen. 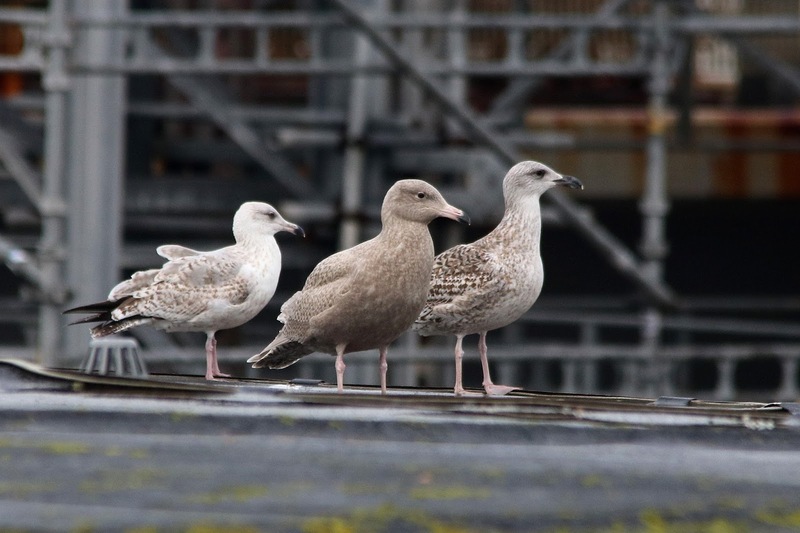 The first-winter Caspian Gull commuted between the fishing boats and the Patch where the juvenile Glaucous Gull was also present. Large numbers of Great Crested Grebes and Guillemots were feeding offshore and a very unseasonal Sooty Shearwater flew west in the afternoon. 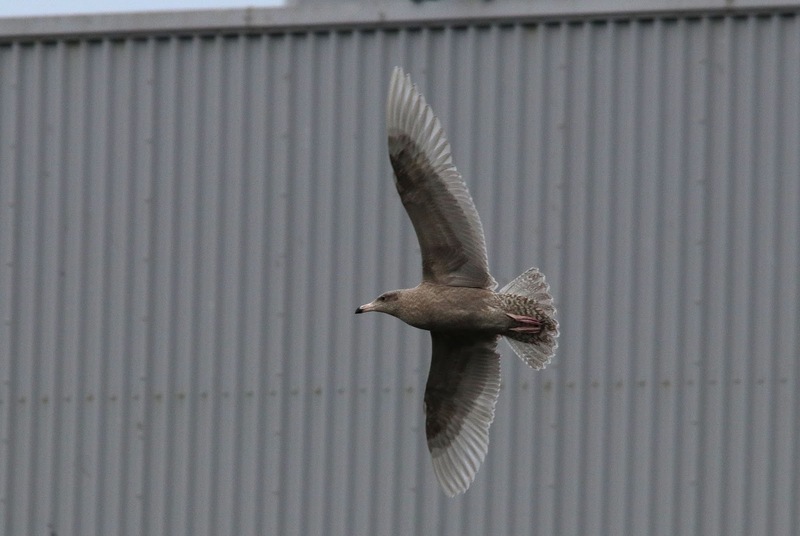 Two Great Skuas also flew east during the day. 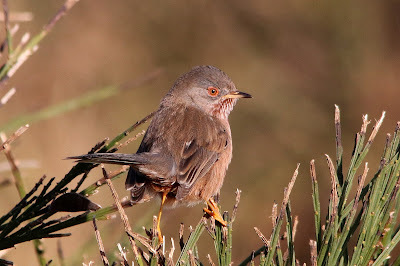 The best of the birds on the land were a flock of seven Common Snipe, a Firecrest and a party of four Bullfinches at the Long Pits, a Black Redstart around West Beach and Dartford Warblers between Lloyds Cottage and West Beach and near the New Lighthouse. 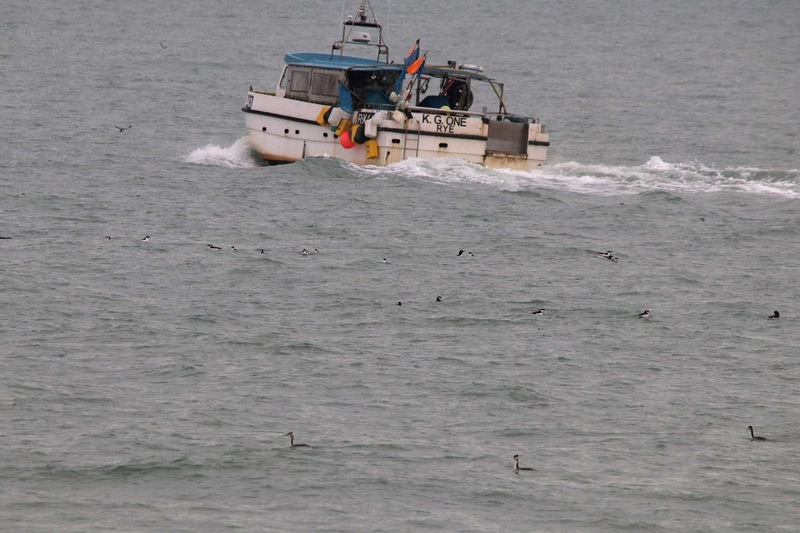 Another day of grotty weather and limited coverage. There were a few Razorbills moving down-channel, 100 Kittiwakes feeding offshore and the regular first-winter Caspian Gull feeding on the strandline at the fishing boats. Very little coverage and nothing of note seen or reported. 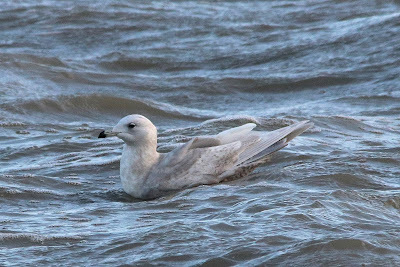 The juvenile Glaucous Gull and first-winter Caspian Gull were both seen on the beach today and a Firecrest and three Bullfinches were seen at the Long Pits. 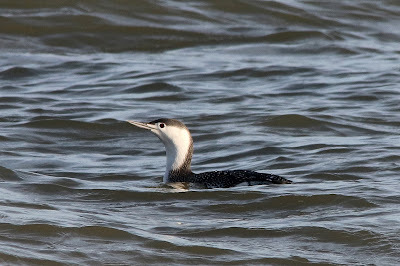 After all the birds feeding offshore over the last few days it was quite different today with just small numbers of auks and Gannets to be seen although Great Crested Grebes increased to around 1500 birds during the day. 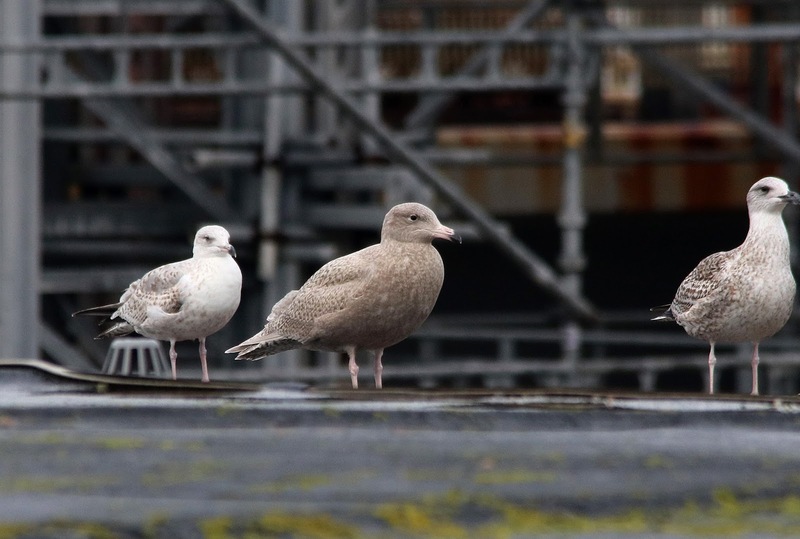 The regular first-winter Caspian Gull was still present and the juvenile Glaucous Gull made at least one brief appearance this afternoon. 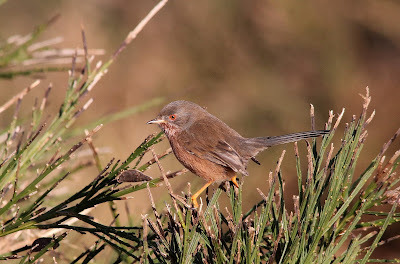 A few birds of note on the land included a Dartford Warbler just south of the Observatory, the Grey Wagtail feeding around the settling tanks behind the seawatch hide again and Siskin and Bullfinch in the trapping area. A Little Grebe was also seen on the northern Long Pit. 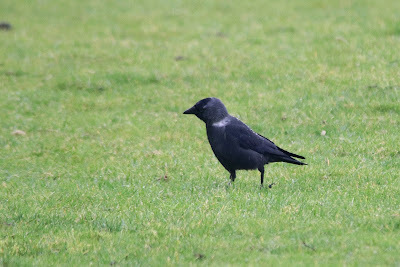 A Red Admiral was also seen. 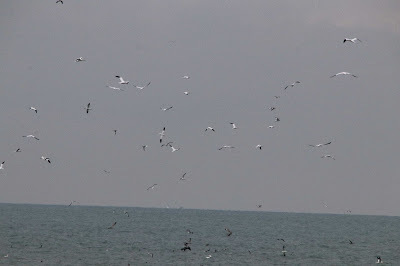 There were masses of birds offshore again with 300 Red-throated Divers, 1000 Great Crested Grebes, 100's of Razorbills and 100 Kittiwakes of note and also attracting the attention of a Great Skua. The regular first-winter Caspian Gull was still present and showing very well. 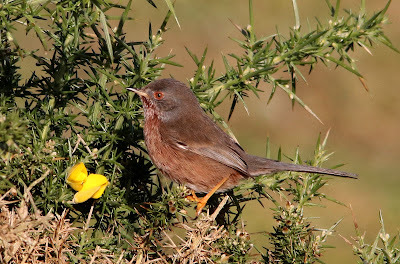 A Chiffchaff on the power station fence was an unusual January sighting and a Bullfinch was noted in the trapping area. 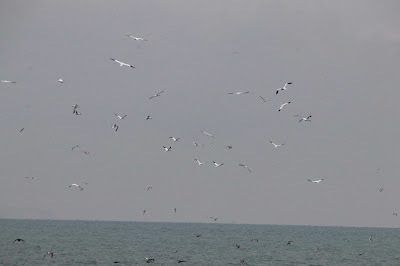 Two Porpoises and a Grey Seal were also attracted to the offshore feeding frenzy. 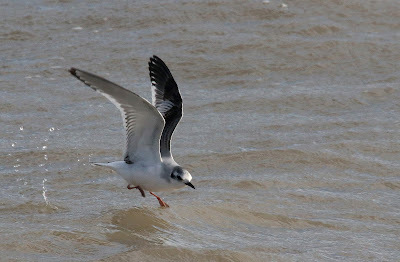 An adult Mediterranean Gull and the juvenile Glaucous Gull and first-winter Caspian Gull were feeding at the fishing boats again along with large numbers of Gannets, Great Crested Grebes, Guillemots and Razorbills offshore. 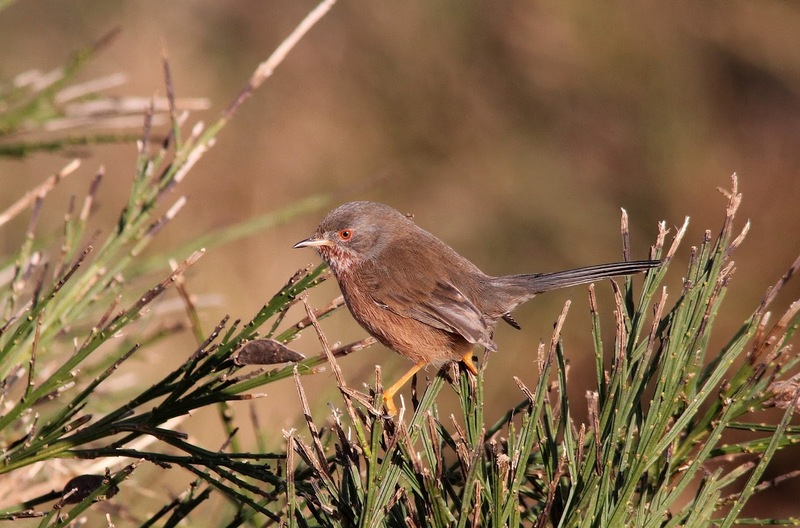 The land also proved interesting with a Hawfinch flying around the trapping area before heading north, a Bullfinch in the trapping area, two Firecrests at the Long Pits and a Grey Wagtail feeding at the settling tanks behind the seawatch hide. Large numbers of birds were feeding offshore again with 1500 Great Crested Grebes, 200 Gannets, 1000+ Cormorants, two Great Skuas and 500 Guillemots of note and the first-winter Caspian Gull was on the beach. Signs of upchannel passage of Brent Goose continued with 150 moving through and birds moving west included two Velvet Scoters, two Eiders and 1000 auks. 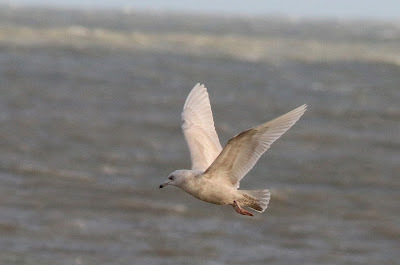 Despite large numbers offshore this species is rarely close enough for a photograph. 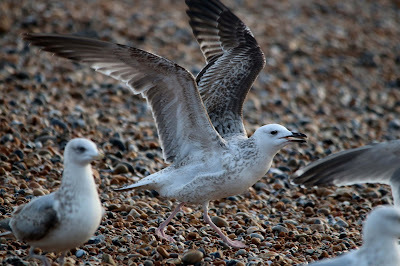 The regular bird but hard to resist photographing when it is standingin front of you. A calmer but very murky day which barely seemed to get light. 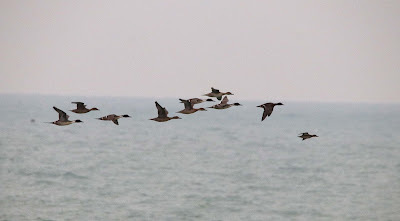 Seawatching was not as good as yesterday but still produced 11 Pintails, three Red-breasted Mergansers, an astonishing minimum of 6000 Cormorants, a Great Skua and lots of Guillemots and Razorbills during a two-hour watch this morning. 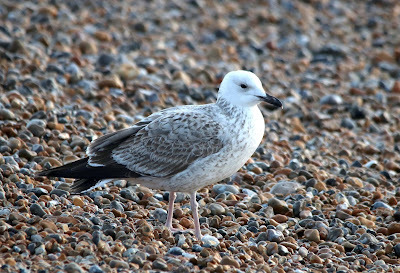 The regular first-winter Caspian Gull was feeding around the strand line at the fishing boats. A check of the bushes found just one Bullfinch of note. It was another cold day and dreary day but the wind had dropped a bit overnight and resulted in some excellent seawatching. 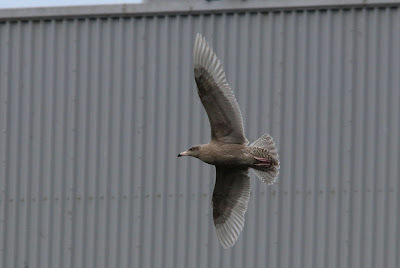 Over four hours of watching produced a near-record winter count of 16 Great Skuas (the record winter count is 17 on 31st December 2015 - if we had known at the time just how close we were we might have continued for a bit longer and beaten it). Other notable birds included two Gadwall, five Pintails, 18 Teal, a Velvet Scoter, 310 Red-throated Divers, 869 Great Crested Grebes, 330 Kittiwakes, ten Mediterranean Gulls (with another three feeding at the Patch), 2755 Guillemots and 1181 Razorbills. There were thousands of gulls at the Patch with both the second-winter Iceland Gull and juvenile Glaucous Gull being seen in the morning along with a first-winter Caspian Gull in addition to the regular bird at the fishing boats. 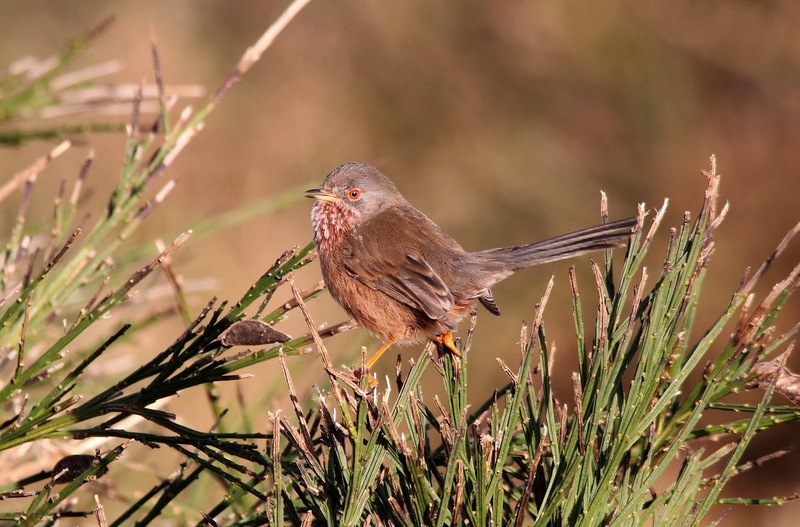 Two Bullfinches were seen at the north end of the Long Pits and a Fieldfare and three Redwings were seen in the trapping area. Two Common Seals and a Grey Seal were also feeding close inshore at the fishing boats. 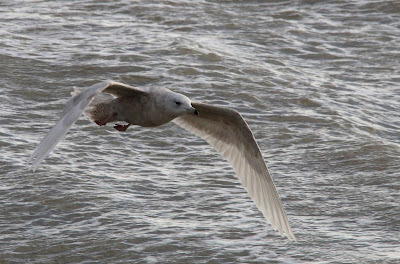 A day with fierce, bitingly cold NE winds and another very rough sea making conditions for birding extremely difficult. 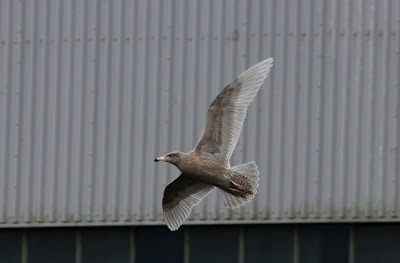 Huge numbers of gulls were feeding offshore with the second-winter Iceland Gull and juvenile Glaucous Gull feeding at the Patch and four Caspian Gulls feeding at the fishing boats. Two Mediterranean Gulls and 150 Kittiwakes were also present amid the throng. 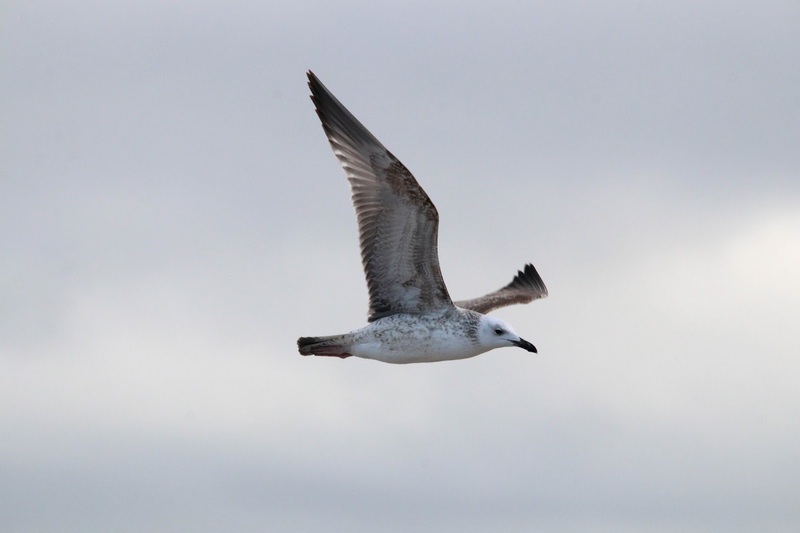 A few birds were also moving offshore with 103 Brent Geese, nine Pintails, 11 Teal and a Great Skua of note. A first-winter Glaucous Gull which has been seen for the last few days on the RSPB Reserve was found at the Patch this morning and the regular first-winter Caspian Gull was at the fishing boats again. 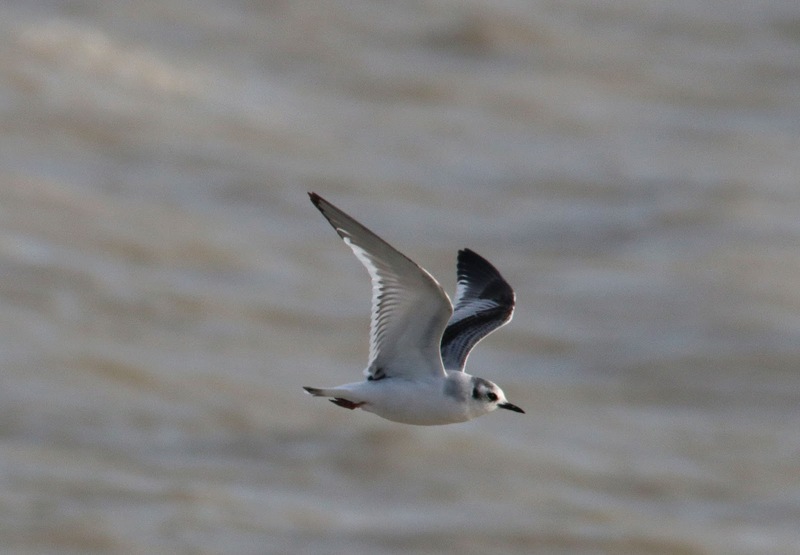 Offshore movement was limited to 46 Brent Geese, a Great Skua and the first three Mediterranean Gulls of the year and at least 1200 Great Crested Grebes and 60 Razorbills were feeding offshore. 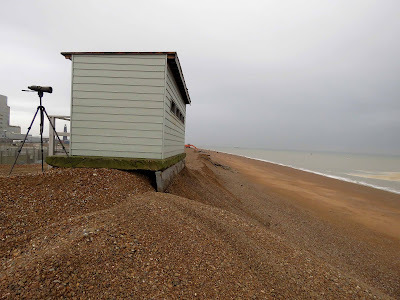 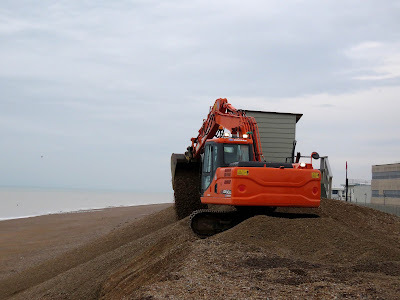 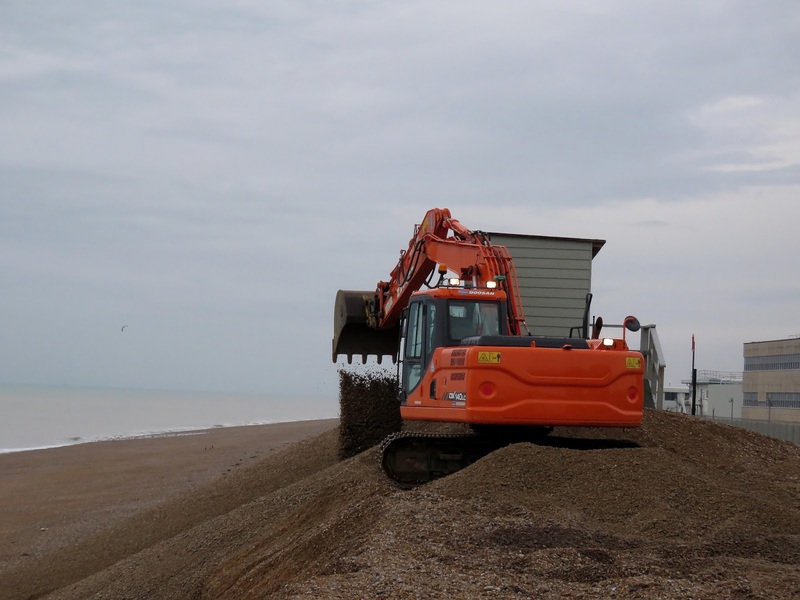 The recent storms have coincided with spring hide tides and have removed several metres of shingle from the beach in front of the power station and have seriously undermined the Patch Hide. 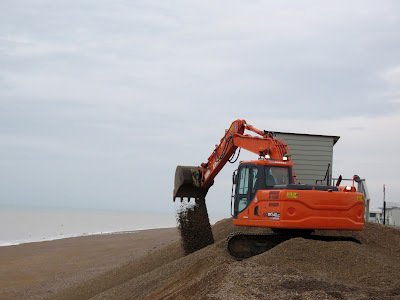 Today contractors were on site to repair the damage and hopefully save the hide from disappearing into the sea when the next storm hits. Good numbers of Gannnets, Guillemots and Kittiwakes moved west again this morning in the continuing stormy conditions and the number of gulls feeding along the strandline also increased but the only significant arrival was a first-winter Little Gull. 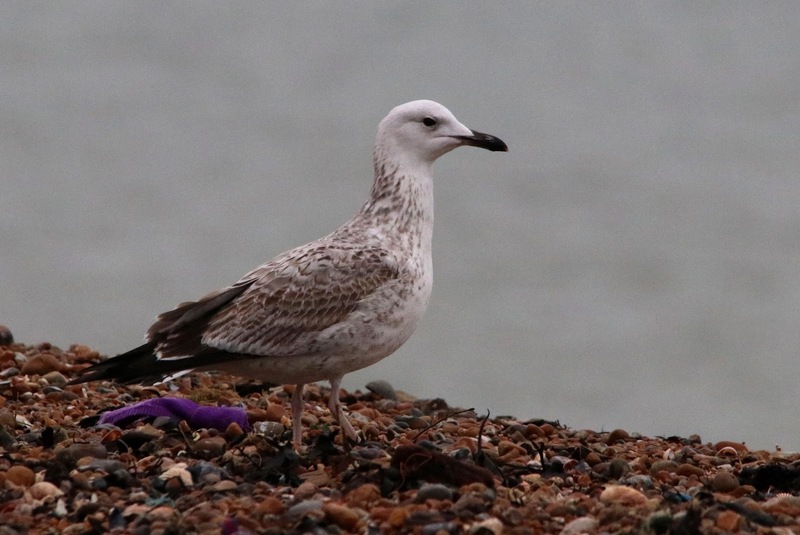 The regular first-winter Caspian Gull was still present. 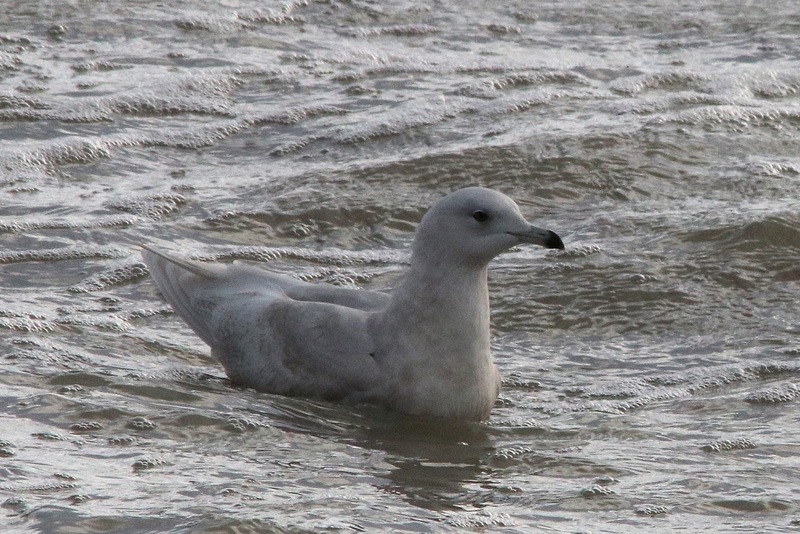 A Firecrest was seen at the northern end of the Long Pits and two Shovelers were also on the pits. 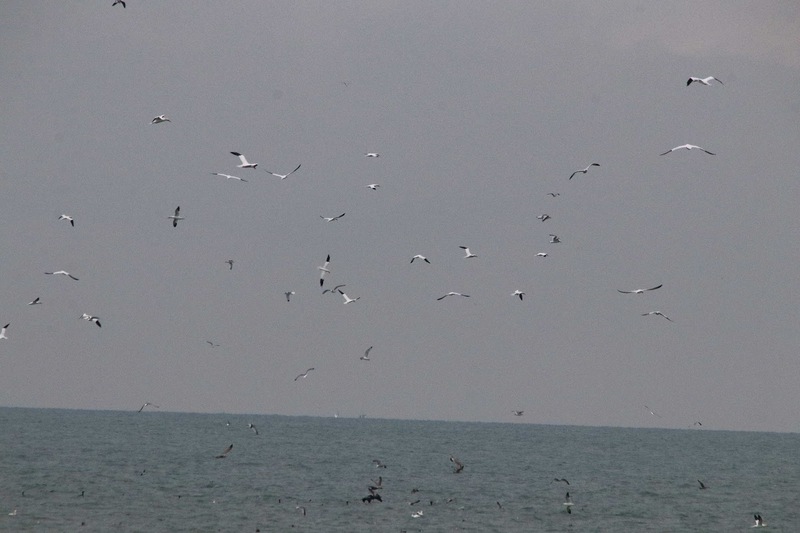 After a night and morning of storm force winds the only place to be was on the beach at the fishing boats. 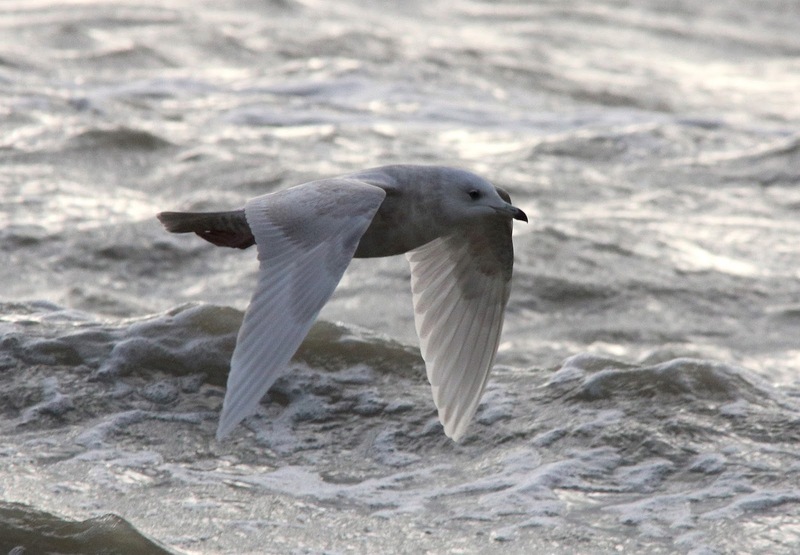 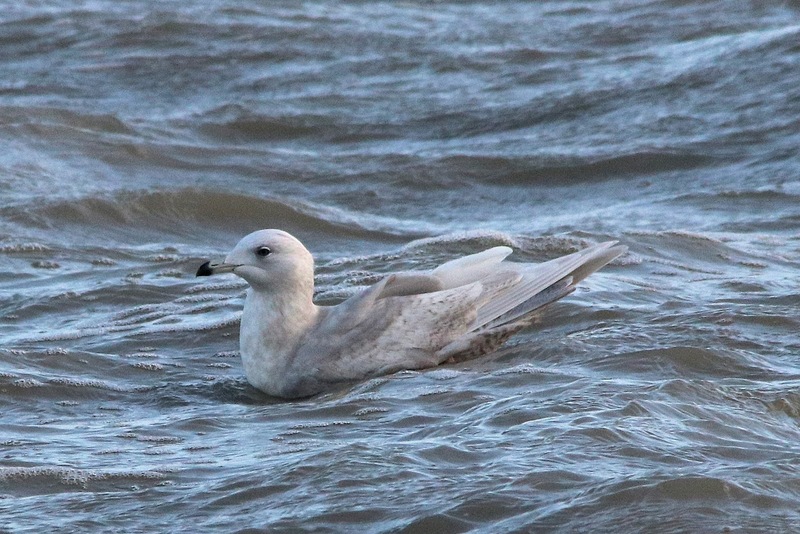 There was an obvious increase in the number of gulls present with the highlight being a second-winter Iceland Gull. 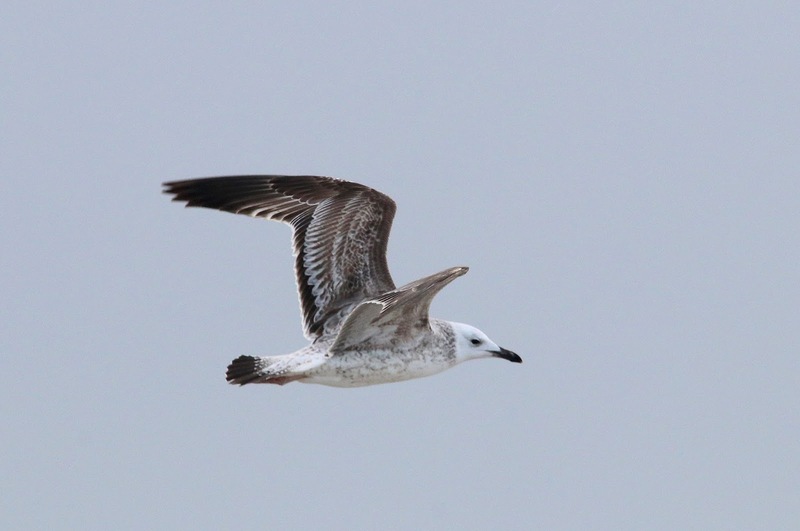 The first-winter Caspian Gull was present as usual. 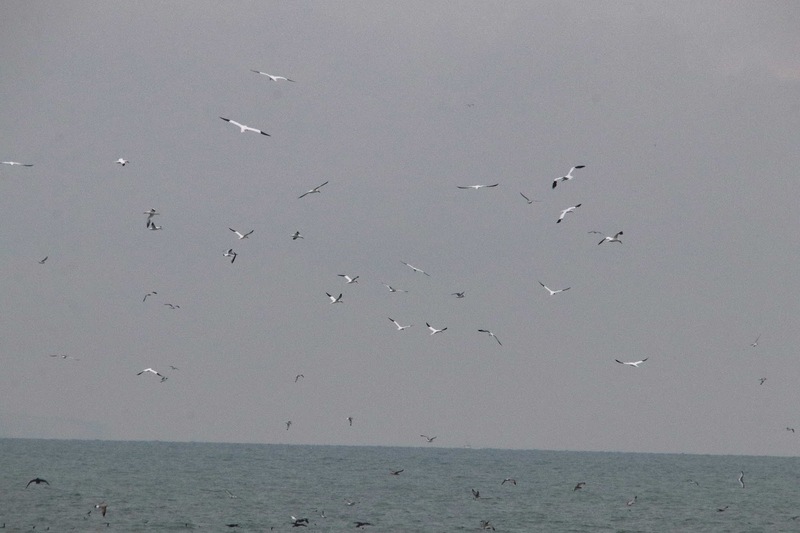 There was also a decent westerly movement of Kittiwakes and Guillemots offshore. The Warden and Trustees wish you all a very happy and bird filled New Year. 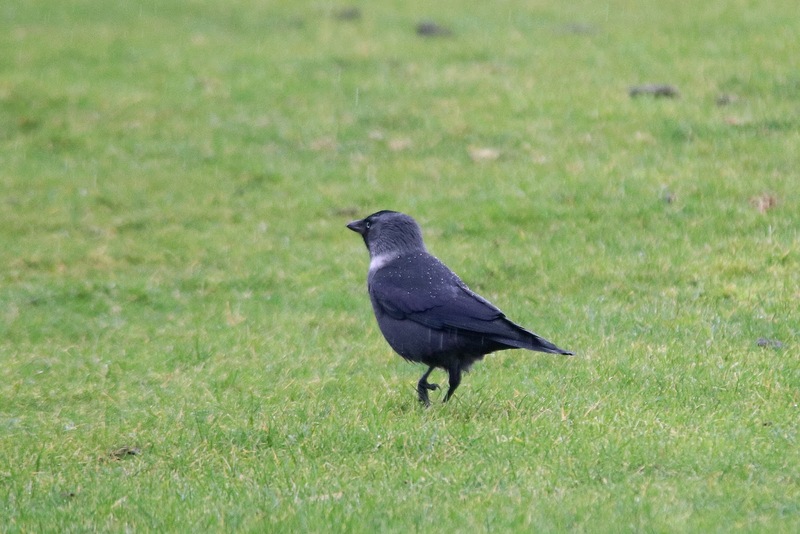 Not a great deal to report on yet another very wet and windy day. 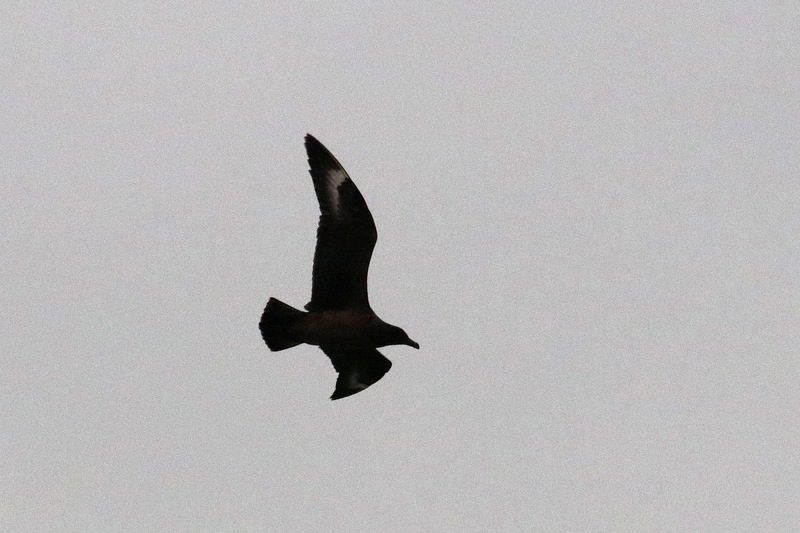 One Great Skua flew west along with two Fulmars and a few Red-throated Divers, Gannets and Guillemots. 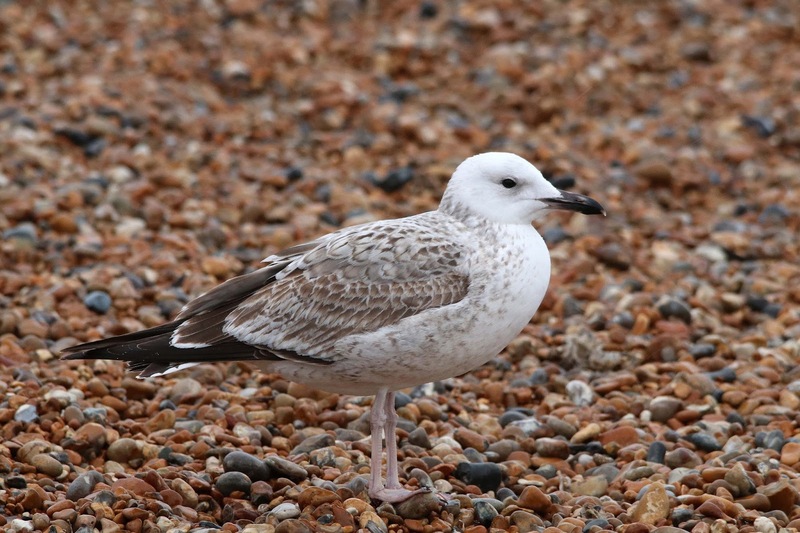 The regular first-winter Caspian Gull continues to show very well at the fishing boats. A decent start to the New Year despite the continuing wet and windy weather. The best of the birds on the land were a Dartford Warbler, three Firecrests and four Stonechats. 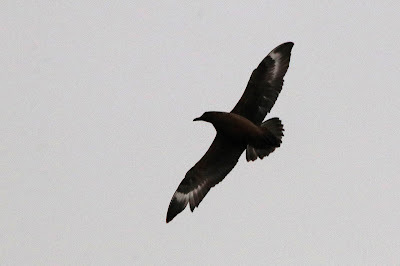 Seawatching through most of the morning eventually produced some decent totals including a Velvet Scoter, 300 Red-throated Divers, 34 Fulmars, 190 Gannets, 500 Kittiwakes, seven Great Skuas and 550 Guillemots. 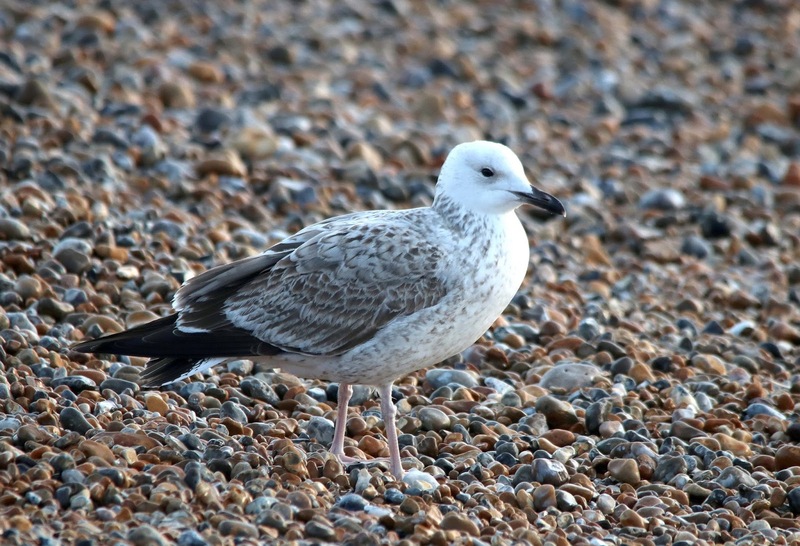 The regular first-winter Caspian Gull was also showing very well at the fishing boats. 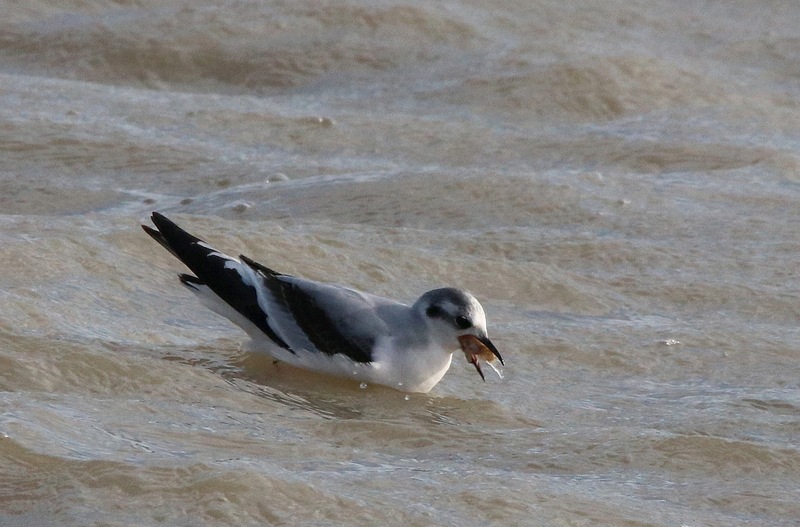 A Porpoise was feeding offshore and a Brown Hare was also seen. 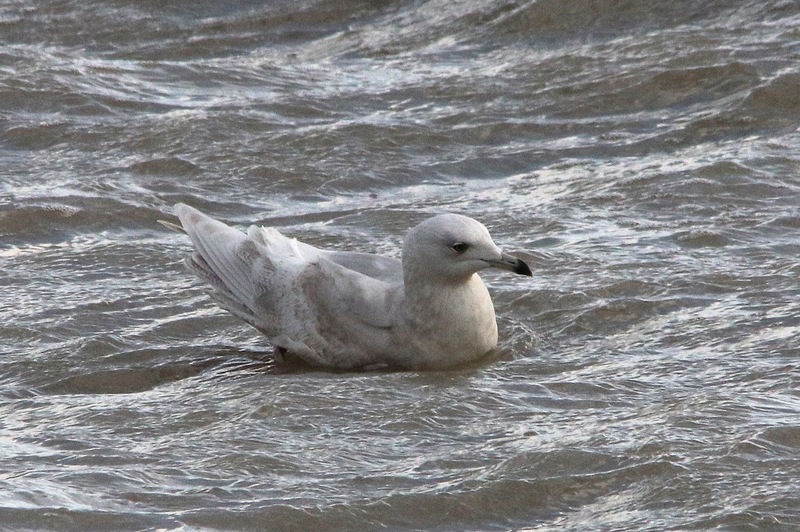 Elsewhere, the first-winter Glaucous Gull was seen on Burrowes and three Great White Egrets came in to roost at ARC. 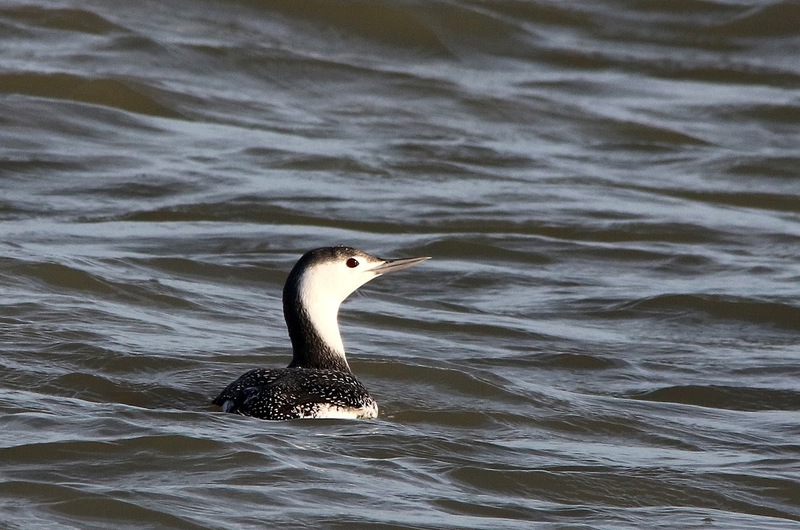 The Long-tailed Duck and Slavonian Grebe remained at Lade Pit. 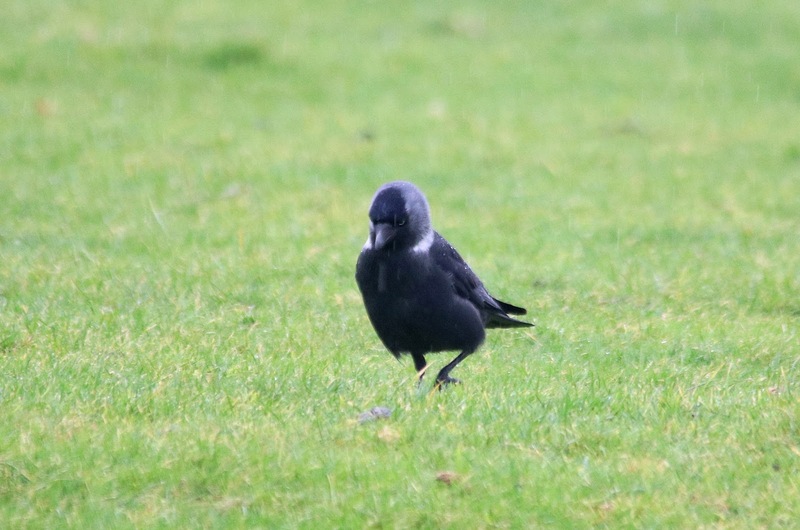 Slightly further afield an interesting-looking Jackdaw was seen in fields of the west of Lydd which appears to show many characters of the eastern subspecies sommereingii. 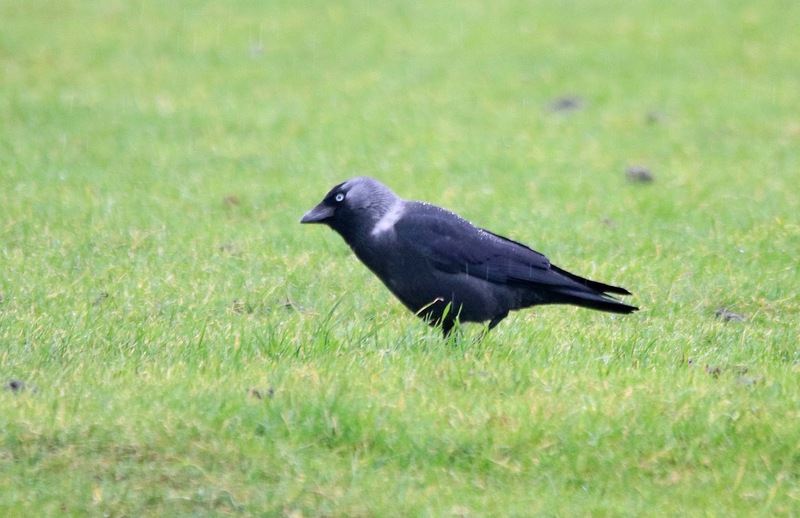 Jackdaw Corvus monedula Lydd 1st January 2018.
eastern or "Russian" Jackdaw subspecies sommerringii. The year ended with another day of dismal weather. 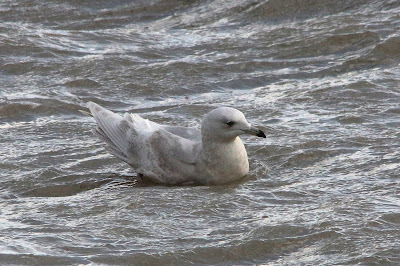 Over two hours of seawatching in the morning produced 243 Red-throated Divers, 18 Fulmars, 379 Gannets, 1463 Guillemots and 283 Kittiwakes passing west. The regular first-winter Caspian Gull was feeding at the fishing boats again and a first-winter Glaucous Gull was seen at the Patch in the afternoon. 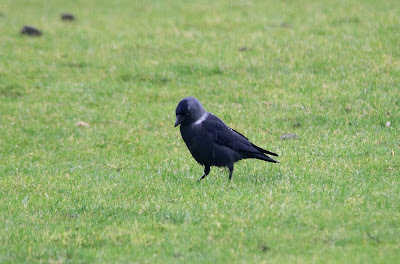 A very brief check of the trapping area produced a Bullfinch.